Targeted content, brilliantly presented - We turn complex information into engaging communication. We help our clients convey complex information and generate response, awareness and loyalty through focused publications that readers really enjoy and remember. In order to reach the right target groups, we tailor our distribution through the daily and monthly press. Since our first offices opened in Stockholm, Sweden in 1990, we have helped thousands of associations, organisations and companies convey complex information to millions of readers. Provisa publish special interest reports and distribute them through partnerships with the daily and monthly press. The topics vary from healthcare to mining, from property to holidays - but they all have one thing in common: they are focused, comprehensive reports dedicated to one subject only, ensuring that the sponsors and advertisers have a unique environment in which to promote their products and services. What are your communication needs? Don't hesitate to give me a call. Provisa create, finance, produce and publish special interest reports - highly targeted papers, magazines and guides. At Provisa we have two groups we focus on understanding: Our clients and our clients' clients. We believe that once we get to know our clients' markets we can tailor publications to make sure we are creating unrivalled marketing platforms. A typical Provisa publication is a focused report distributed by a third party (usually the daily, monthly or weekly press) in order to reach a well-defined target group. This combination ensures that our clients are marketed in a relevant editorial environment while reaching a unique, tailored readership. We aim to ensure 100% client satisfaction, which is why we find strong project management skills so important. Project management is about maximising the potential of the special interest report as a medium. The strategic and tactical thinking (the editorial angle, choosing the distribution partner etc) behind the report is what will make it unique. Therefore, on every project/publication, there is a project manager dedicated to your business, bringing you the best client support and ensuring you the right results, on time, at the agreed price. The project manager acts as your strategic partner advising you on how to best get your message across to the right target group. The project manager delegates parts of the project financing and the production of the report to other team members, but remains responsible for his/her paper throughout the life of the project. A corporate advertisement might suit companies who want to enhance the brand image. An advertorial is valuable if you wish to go in to detail about a product or service, or to communicate an opinion, to provoke an establishment or public debate. Sponsorship is an excellent way to promote your core messages as you have the option of getting involved in the publication's overall message. Our publications should always be a trusted source of information. To ensure this we commission independent editorial content written by specialised journalists and checked by experts recognised in their fields. Special interest reports are all about creating a tailored solution to achieve a communicative goal. As you might have seen on the previous pages, this starts with developing a strategic communicative angle. A carefully considered distribution is then devised. Having this concept in place allows us to find the right sponsors and advertisers. Finally, the publication can go into production. In addition to the editorial content, the design and execution of the paper is what will make it a success. By combining a proven style guide with some innovative design elements, we create special interest reports, which will allow our clients to achieve their desired objectives. 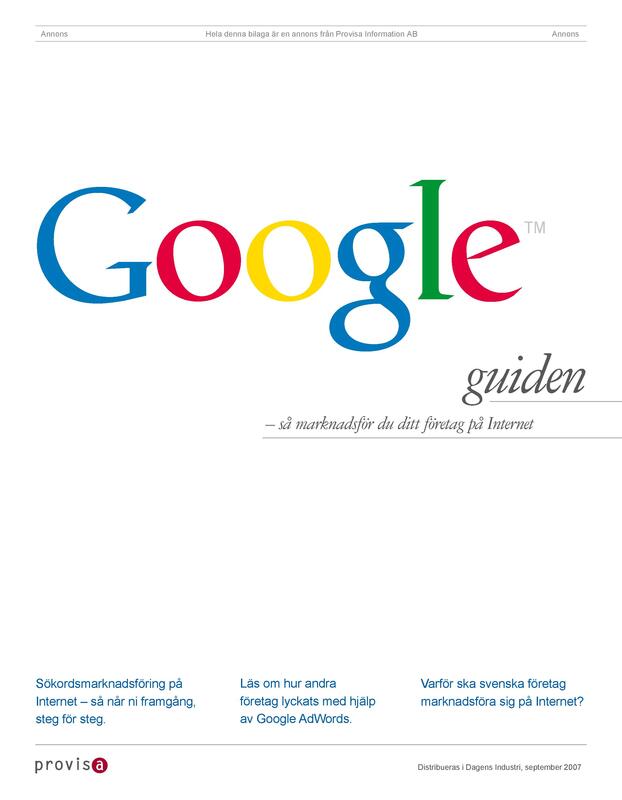 Tap or click a cover to browse the e‑magazines (in Swedish). Best practice. Golf has become an ever so popular sport, played by some 500,000 people in Sweden only. The golf boom has meant more courses being developed around the country. 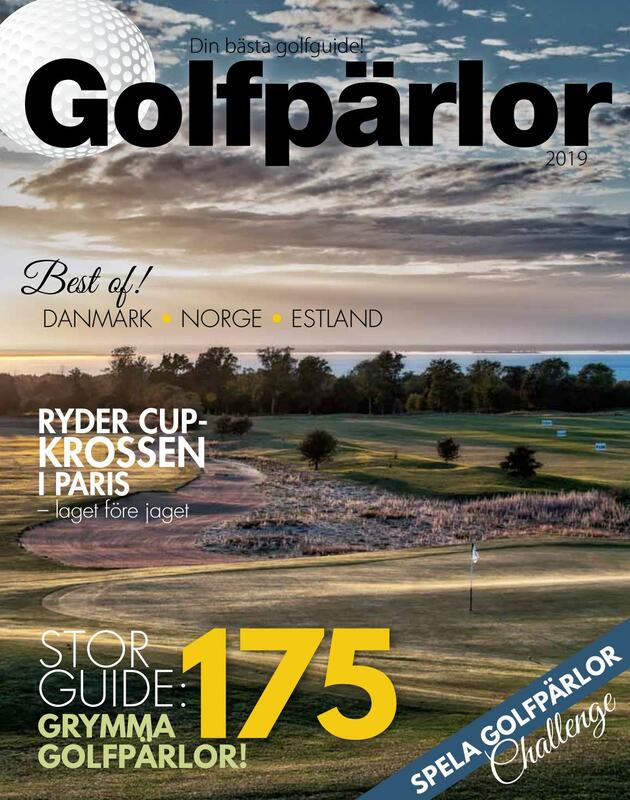 The Provisa guide to Swedish golf courses, Golfpärlor, has been produced and distributed annually since 2006. The guide is much longed for by both advertisers and readers, giving the advertisers a unique environment to promote their courses. 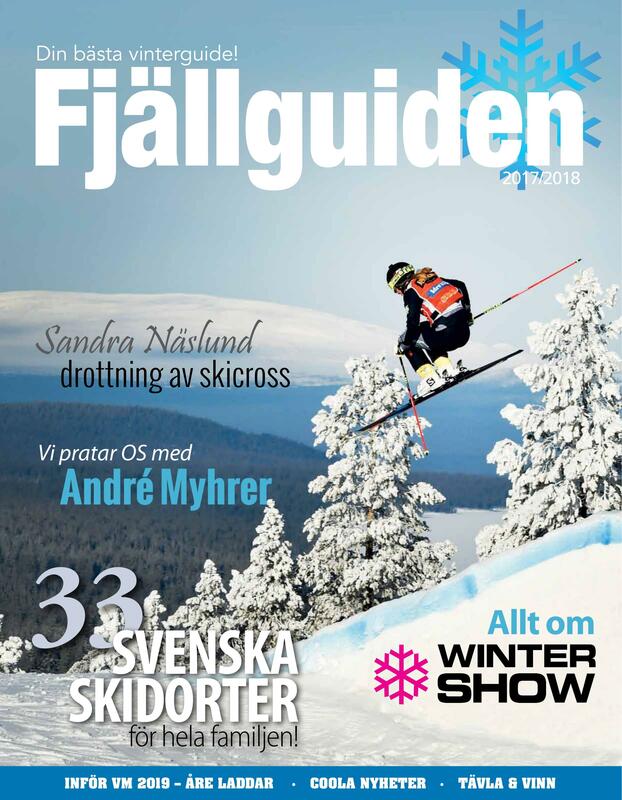 The special interest report Fjällguiden aims to inspire families to plan trips to Swedish winter destinations and ski resorts. Fjällguiden gives a general view of what the different destinations can offer, making it easy for the readers to find winter holiday resorts that suit them the best. The Fjällguiden report also serves as a guide to the latest winter sport equipment. The impact the Internet has on our everyday lives is enormous, and it seems to grow by the day. The Google report guides the reader through some new ways of using the Internet as a marketing platform. Placing adverts, keyword search optimising as well as promoting your business and its location on Google Maps are just some examples of services offered. A fantastic and unrivalled opportunity to take part in two days of pre-scheduled appointments, parties and destination discovery. This is an exclusive two day b2b event, bringing together up to 80 European and North American resorts, tourist boards, private sector ski properties and inbound ski travel suppliers with up to 80 outbound ski tour operators and private travel arrangers. Please read more here: www.istm.co.uk. Please use Share in the menu to share and copy links. Do not copy urls from the address bar. Turn your mobile device to switch between viewing spreads and full pages. Swipe left or right to browse the e‑magazine. Double‑tap a page to zoom in, double‑tap again to zoom out. Pinch and spread gestures are allowed. Drag to pan the zoomed‑in page. Tap a slide to toggle controls. Use left and right arrow keys to browse the e‑magazine. Click a page to zoom in, click again to zoom out. Roll the mouse wheel or use the trackpad to scroll the zoomed‑in page, or click and drag to pan the page.